As a responsible and conscientious company, R&M Engineering is an active and willing participant in industry accepted quality indicators such as First Point Assessment Ltd. (FPAL) and ISO 9001:2015, as well as encouraging HSE and environmental programmes. R&M Engineering was one of the first fabricators in North East Scotland to achieve ISO 9000 accreditation. Fully endorsed at Director level, the importance of quality and QMS compliance is understood by the whole workforce. R&M has long understood the requirement for full traceability of materials and workmanship in such a process sensitive area as the Oil & Gas Industry, and has developed computer database supported systems for the production of comprehensive documentation packages. At a time when a number of client companies are deciding not to retain their own copy of as built documentation, the stability of R&M provides a high degree of confidence that, should such documentation be required in the future it will still be accessible. 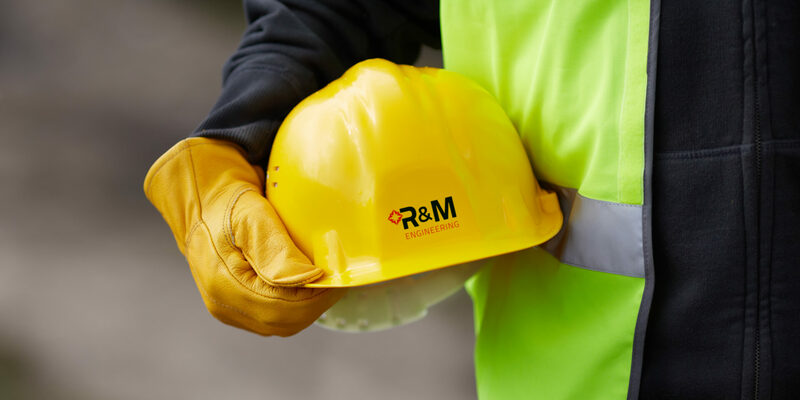 Health, Safety & Environment has always been at the forefront of the companies’ priorities and we at R&M take high standards of HSE as a valuable asset and not as an overhead. SAFETY is R&M’s No 1 CORE Value. Satisfaction, at R&M our client SATISFACTION is paramount in every order we process and deliver. Accountability, at R&M our workforce are fully aware of their own ACCOUNTABILITY for their own safety and also the safety of others due to their actions. Family, at R&M we treat all employees as FAMILY, we believe that this approach not only gets the best out of our employees but promotes a happy and friendly atmosphere. Environment at R&M no task is so important that we cannot take the time to do it safely the 1st time, with 0 hurts to personnel, the ENVIRONMENT or company assets. Teamwork, TEAMWORK is the backbone of our company, all employees work together to produce a quality product, no exceptions. Yes, at R&M we have a YES attitude, a “can do” attitude. Environment, at R&M no task is so important that we cannot take the time to do it safely the 1st time, with 0 hurts to personnel, the ENVIRONMENT or company assets. SAFETY is free, at R&M Engineering we use it very generously all the time, every time. R&M is accredited to BS EN ISO 9001:2015 for quality through Lloyds register and having being quality certified since 1994. This company is also accredited to modules D & D1 of the pressure equipment regulations through DNV. R&M is accredited to EN ISO 3834-2 & BS EN 1090 Exc 3. R&M is accredited to OHSAS 18001 for H&S and works to the guidelines of ISO 14001 for Environment.